Picking a gift for a 18 year old boy can be tricky and you want to find something unique and useful for his birthday or special occasion. This is considered as a milestone age for most boys as this is the point where they leave behind most of their childhood memories and embark on a journey into adulthood. This is also the age where a boy is considered to be a man, and, depending where you live, might be legally allowed to do more. It is because of this that eighteenth birthdays are very special and are often celebrated with wonderful gift items. However, almost all the time it is quite difficult and challenging to find a cool gift for an eighteen year old boy. Eighteen is considered as a monumental year no matter what part of the world you come from. It is at this point teens are exposed to a higher realm of life, whether it means being eligible to vote or being able to drink alcohol. Teens will love to remember this monumental stage of their lives and what could be better than celebrating it with a special gift from a loved one. Trust our 21 best gift ideas for 18 year old boys which contains a wide range of gift items to help you find something special which he will appreciate and cherish. Computers are regarded as important and vital tools especially for schooling. If your 18 year old is going to college, a new laptop would be an excellent and useful gift. 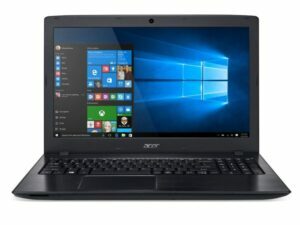 The Lacer Aspire Gen Intel laptop with a windows 10 home is a great portable laptop which is just the right size for taking to class. This is a very functional tool which is perfect for taking down notes in class. It can be used for studying and research at home, as well as using for personal interest. The laptop offers an impressive 15 hour battery life depending on usage. It’s also fast enough to play games and movies, and the HD display makes them really come to life. This is the perfect laptop for both work and play, so if your son is in need of an upgrade, this model is certainly worth considering. Every teenage boy will love having a portable speaker he can use anywhere and at any time. Almost all 18 year olds have a strong love of music, so this is the perfect gift to help him enjoy it even more. 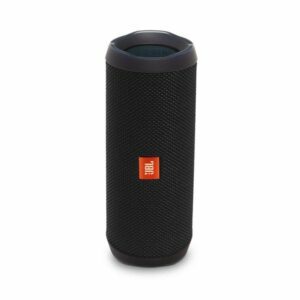 The JBL Flip IPX7 wireless Bluetooth speaker is a great option because it has a compact and portable design making it easy to take around anywhere. Whenever he’s with his friends, studying or even working, this speaker will be his best companion as he can take it anywhere he goes. The speaker from JBL offers crystal clear sound quality and can be used to make the music impressively loud. The speaker can even be attached to a belt loop or bag for use while on the go. Another gift item any eighteen year old boy would appreciate is a high-technology toy. Despite turning eighteen, he probably still has an inner child who would love a high-tech toy! 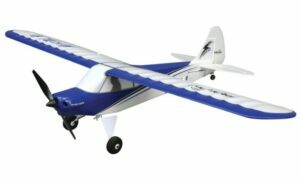 The Hobbyzone Safe Technology RC Airplane is one of the best high technology toys that every teen boy would love to have. It is designed to have a unique climb performance, an impressive speed (thanks to its powerful motor) and a steering tail wheel which helps in providing superb ground control. 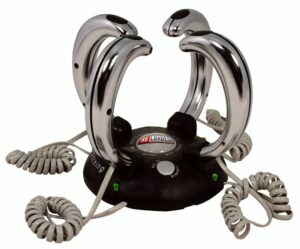 This is one toy every teenage boy would enjoy playing with and it is sure to keep him entertained for hours. It also looks great as a display piece in a teenager’s bedroom. At age eighteen, your son will probably be into exercise and fitness. If you have a teenage boy who is interested in this field, then what other way to show your support than getting him something related to his interests. 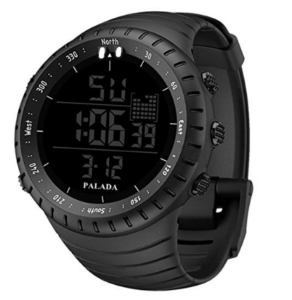 The PALADA men’s waterproof and sweat-proof watch is an excellent gift idea as it comes with numerous benefits that will make workout time more fun and productive. 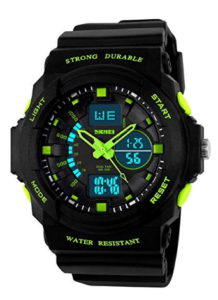 This watch is suitable for activities like running, hiking, fishing, climbing and other outdoor sports. 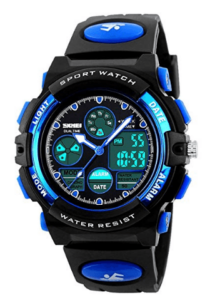 Its water resistant design makes it suitable for use during water sports too. It comes with an easy to read display which one can see clearly in bright sunlight or at night. The Diamond HardTail Mountain bike is another great gift for fitness as it helps boys not only to work on their cardio but also get some fresh air. Teenage boys love bikes and the Diamond HardTail mountain bike is a great mode of transport. This bike is useful in getting to school or college, running errands or even just for cruising round the neighborhood. 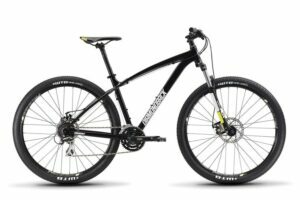 It is wise to invest in a bike that will last for a very long period of time and the Diamond HardTail bike fits that description as it is made with high-quality and durable materials. The bike is perfect for all terrains, thanks to the good suspension and rugged tires. If your teenage boy isn’t drinking alcohol already, why not get him something to encourage him to keep up this healthy habit? 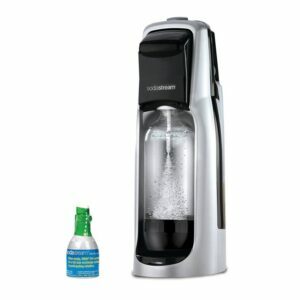 The SodaStream Sparkling Water Maker starter kit allows teens to prepare carbonated drinks using water, fruit juices or powdered mixes. Not only is making your own drinks cheaper than buying bottles of soda every day, it is also quite fun! The Soda Stream is ideal for making cool and refreshing drinks, so it is the perfect gift for teens who complain about staying in a hot dormitory. It is extremely lightweight meaning it can be moved about with ease. It also doesn’t require the use of electricity or battery for operation, so it can be used anywhere. This gift depends on where you live and local laws. If you live somewhere where drinking alcohol is allowed at age 18, or at least allowed in the home at this age, the beer making kit can be a fun gift. Of course, you might not want to encourage your teen to start drinking, but making beer together can actually be a fun and educational activity. 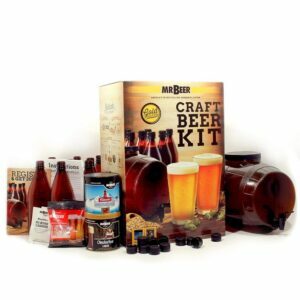 The Mr Beer premium beer making kit is a simple and easy to use kit, which gives consistent and great results every time. Most teenage boys will love the idea of preparing their own beer for the first time. With this premium beer making kit, they will master the art of brewing, fermenting and also enjoy drinking their first booze which will be so exciting for them. This book is an all in one reference tool for teenagers and young adults. 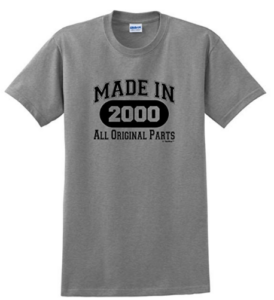 It is the best gift idea for older boys on their birthdays, graduation and other special events. For every growing boy out there, there is still a lot to be learnt about life to prepare him for the challenges that lie ahead. There are several important lessons for a young guy to learn, and this book provides step by step instructions on a whole lot of valuable things. Some of the skills a growing man needs to learn include how to wear cologne, tie a tie, grill a steak, write a resume, plan a date, talk to a girl, clean a bathroom and many more. There are around 100 skills included in this book, so it’s perfect for preparing your son for moving out of the family home and making it on his own! This game is excellent for use at parties, where it is sure to lighten the mood and ensure lots of fun is had by all. There are three different levels of shock strength – work your way up to the top for more fun! The party game is for those over the age of 14 – it is perfect for teenagers and adults. Playing this game is a creative way for the family to be together in a relaxed and fun way. The game does require 3 AAA batteries, so be sure to stock up if you plan to give this as a gift where it will be used right away. The game is crazy and lots of fun – perfect for the boy who has everything. Each player grabs a handle, then after pushing the button in the center, wait for the red lights to turn green. The last player to press their button as the light turns green faces an electric shock! Boys will have so much fun and laughter as their friends get a shock! It is highly recommended for kiddies aged 14 years and above. It is also one that adults can play with but requires three AAA batteries for operation. This is one highly recommended book for teens as it makes use of satirical and straightforward descriptions which makes learning with this book enjoyable and fun. Reading this book will teach boys some valuable lessons which couldn’t have been taught by parents or at school. The book can help with important life skills such as changing a tire or preparing for an interview. The book is written in a sarcastic and humorous manner which is sure to appeal to the tastes of 18 year old lads. This is a great stocking stuffer for older boys – a fun joke present for the boys who have everything. 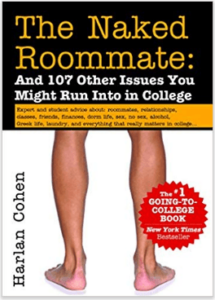 From dorm dramas and do’s and don’ts to nasty, noisy and lying roommates, there is a lot to learn about college life and that is what this book is all about. 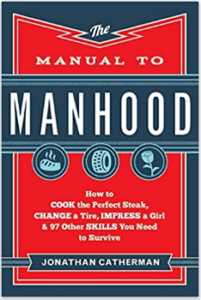 This book shows every teenage boy out there what he needs to know before leaving for college. The book is aimed at advising teenage boys on how to manage stress and make friends as well as telling hilarious and funny stories about patience, people, places, dating, partying and more. 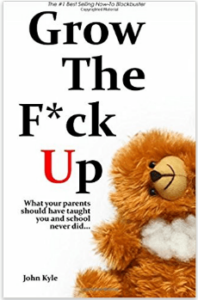 This book discusses 107 issues boys might face in college and shows how to deal with them. It’s a funny yet informative read which is great for boys who are heading off to college. Made from 100% cotton and with double needle sleeves and well stitched seams, this is one of the best T-shirts one can gift an eighteen year old boy on his birthday. This shirt has undergone a heat treatment process which ensures it won’t loose it’s color or design even after several washes. The text on the shirt is printed using an innovative direct to garment print technology with eco-friendly ink. This ensures it won’t fade anytime soon, so boys can enjoy wearing it for many years. 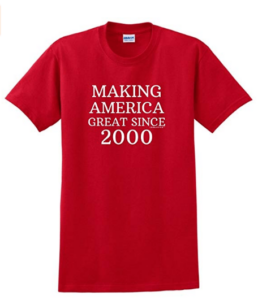 Whether your teenage boy is a conservative or a republican, this is the ideal shirt to give him on his 18th birthday. It is one that is designed to last for a very long time as it features high quality cotton fabric combined with hem taped shoulders and neck, double needle sleeves and well stitched seams. Again, the print was made using eco-friendly ink and direct to garment printing technology to ensure it doesn’t fade over time. This is a great jokey gift for boys who have everything – they will love making a statement by wearing it out and about! Featuring a durable PU band and also a high quality stainless steel face, this outdoor watch for boys is one that is built to last. This watch is even waterproof so it can be worn when showering, washing the hands and even swimming. The stainless steel buckle helps in providing a firm and secure fit. This watch comes with several impressive features such as week and date display, 12/24 hour format, LED back light, alarm, timer and more. It comes neatly packaged in a gift box which makes giving it as a gift easy. Made using a premium blend of cotton, durability is one of the key features of these well designed ripped pants for boys. They feature skin-friendly and breathable fabric which guarantees proper ventilation and also helps to make sure one is comfortable wearing this outfit. These are stylish jeans are ideal for wearing during the weekends as casual-wear. The pants have a skinny fit, contour paneling design at the knees and thighs as well as an easy button closure to ensure your teenager looks and feels good. 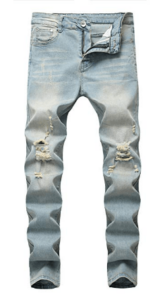 It is the perfect gift item for an eighteen year old boy on his birthday and thanks to the material used in making these jeans, boys won’t feel too hot during warm weather conditions. 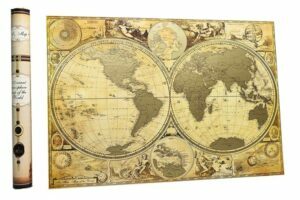 This scratch map is a great gift for boys who are heading off to travel on a gap year before starting college. It would look great displayed on the wall, yet is also comes in a beautiful tube in which it can be safely stored. Boys will love being able to remember the fun trips they have taken by looking at this map. It’s also ideal for brushing up on geography! This map has a timeless, elegant look and even features portraits of important 17th century explorers. This is a great gift for teenagers who are glued to their phones. 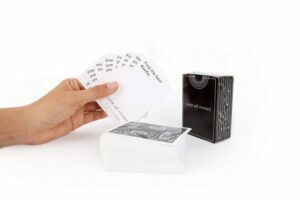 Rather than sitting on their phone ignoring everyone in the room, this game encourages players to interact with each other using the contents of their cellphone. Boys will love showing off their photos and songs, and it’s great for providing some healthy and fun competition. One impressive feature of this engaging game is it gives players the opportunity to show off both new and existing photos. This is a great game for parties and groups. It’s a fun icebraker for teens to use when meeting new groups of friends for example if they are starting college. For boys who are starting college or a new job, they will need a durable backpack to carry their belongs along in. This one comes with several compartments on the inside which makes sure valuable items are properly arranged and organized. The bag also features a waterproof exterior to prolong it’s lifespan and keep contents safe when it’s raining. 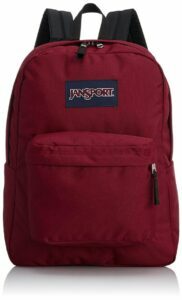 The Jansport Superbreak backpack is one that can be used everyday as it is made using high quality materials which ensures it lasts longer than expected. It’s also just the right size for carrying around everyday essentials. Teenage boys will love owning this well designed bike as it comes with shimano speed shifters and derailers which enables reliable and fast shifting action. It also comes with an 80mm suspension fork which helps in enhancing control and ensuring a smooth ride even when riding on bumpy surfaces. 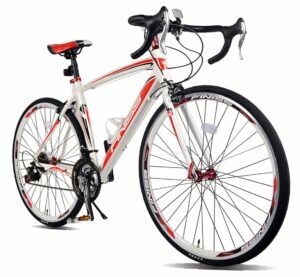 Durability is the key feature of the Merax Finiss 21 speed racing bicycle as it is made using high quality aluminum material which helps in ensuring long lasting use. Aluminum is also a lightweight material which means the bike is easy to handle. Another impressive feature this bike comes with is the mechanical disc brakes found at the rear and front. This offers smooth and controlled stopping every time. Boys undergo a lot of stress in their teenage years, whether it’s from school or college, the media, parents, bullying, dating, peer pressure or bullying. This book is aimed at helping reduce stress in teenage boys by outlining six important choices which must be made. 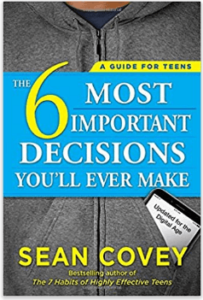 The author, Sean Covey, helps teach teens how to make smart choices, a skill which will be valuable throughout their lifetime and not just in the teenage years. This watch boasts a waterproof design, making it suitable for surfing and swimming. Therefore, it is the perfect gift for boys who enjoy engaging in water sports and activities. It also boasts other interesting and useful functions like an alarm, backlight, 24 hour display and even a day and date settings. The rubber strap ensures this watch is comfortable to wear all day long, and a perfect fit is guaranteed. The watch has a sleek and stylish appearance which is sure to appeal to young men. There are several categories to think about when shopping for an eighteen year old boy. Let’s take a look at a few options you might like to consider. · Clothing and accessories – novelty shirts, ripped jeans and so on are great for fashion-conscious young men. · Tech and accessories – most young men are fascinated by tech. Consider items such as an Amazon Echo, wireless charger, Amazon Fire TV stick or an action camera. · Personal items – electric toothbrushes and shavers are practical items your son will certainly thank you for. · For use in bedrooms – a mini fridge, laundry basket, or shelving unit are perfect gifts for teens who are moving out of the family home. · Sports and accessories – workout clothes and gym gear such as weights are ideal for teens who are interested in fitness. Accessories such as a gym bag or a fitness tracker watch are also perfect. · Books – books offering practical advice about growing up and moving away from home are perfect for 18 year olds to gain some valuable tips. · Watches – these are great for encouraging your teen to be timely if he is going to college or starting a new job. · Car accessories – car seat organizers or seat covers to give his car a custom look are practical yet fun gifts. · Gaming gifts – older boys love games such as Blood Bone, Call of Duty, Odyssey Assassins Creed and FIFA soccer. You could also consider gaming accessories such as a headset or a new controller. · Practical items – a wallets or a Leatherman tool is a great gift for a teen who is moving out. There are so many great gift options when it comes to 18 year old boys. We have reviewed over 20 here and also provided a list of possible suggestions, so you can be sure that he will love whatever you choose for him.